Hybrid cloud architectures are growing in popularity as a way to cope with today's business needs. This paper outlines a framework and specific solutions for adopting a hybrid cloud architecture to support increased profits and productivity, reduced costs, and improved risk management. 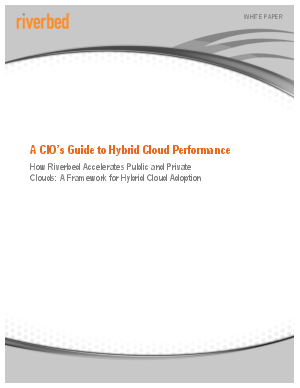 Read on and learn how to sail through the three phases on the journey to high-performance hybrid cloud computing.